Mail4Rosey: 5 Reasons We are Happy to Bring in the New Year with Our JumpSport 14 ft Trampoline! 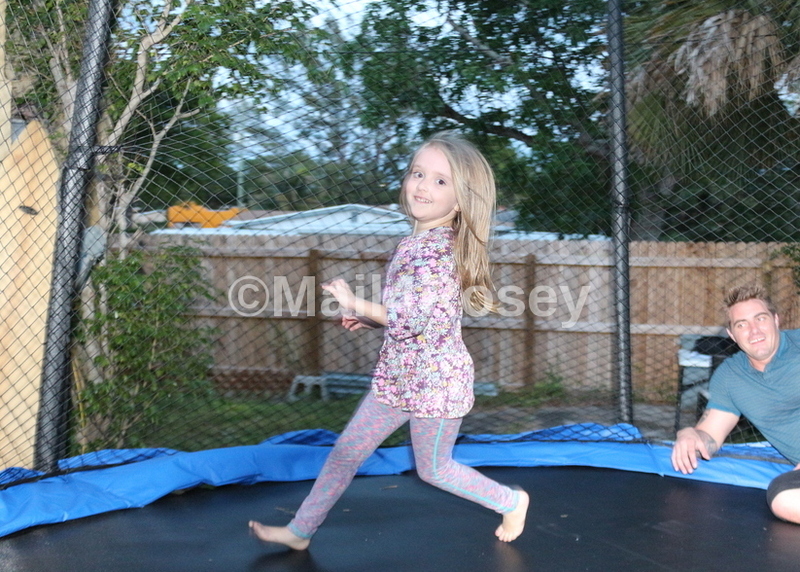 5 Reasons We are Happy to Bring in the New Year with Our JumpSport 14 ft Trampoline! and it has given her the opportunity for a new year that's going to be chock full of fun. There are many reasons why that is true. I will give you my top 5. Reason #1: Assembly. Putting this together was a lot less difficult than we had predicted. In fact, it only took about an hour and a half to get the whole thing assembled. Though most of the assembly and installation was self-explanatory, there were some moments when it was critical to consult the enclosed user's manual. Reason #2: Quality. The materials were sturdy. I've seen trampolines with materials that were definitely questionable, but everything from the tight, Permatron mat (made in the USA) to the rings were heavy duty with this JumpSport 14' Trampoline with Enclosure. Putting together the base was easy enough for the kids to do too, but again the quality was top of the line. The trampoline doesn't shake or jiggle even when the grown kids are jumping on it together. It has a nice, tall frame so it makes for really smooth, deep jumping. While we're talking about families get on here together, let me note here that the weight limit on this particular tramp we have is 520 lbs. (so all of us can't get on at once, but several of us can! We just take turns). It started out easy enough, and the kids jumped right in to help. We soon discovered though that putting the springs on all at once wasn't going to work. We consulted the manual and found out that two of us have to work on opposite sides hooking every other one at first for proper tension. 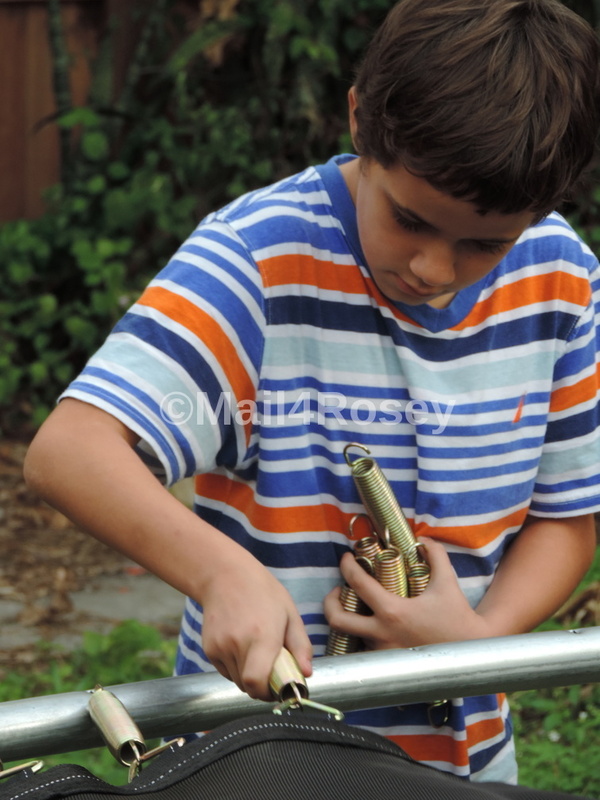 Fortunately my oldest was able to finish hooking the springs on his own. Word to the wise though, wear gloves (or have two strong people to assemble here) because you have to really exert effort on the last few, and though my son didn't complain about it (he doesn't complain about much), he did have welts on his hands that lasted over night. The JumpSport SkyBounce XPS Trampoline upgrades the SkyBounce ES Trampoline by adding an additional safety strap for a longer lasting safety enclosure and increasing the weight of the PVC covering on the pad. These advancements provide you with thier best warranty in the Basic line. Reason #3: That Enclosure!! JumpSport enclosures are top-of-the-line. The poles are covered with extra thick UV Protected foam (and worth noting: the mat is UV resistant as well). and it is made with an actual net so it is a lot more durable and much stronger than mesh (which seems to be popular today). Us adults were thrilled to find this to be the case. I think the fabric net is more attractive than plastic mesh too. It is easy to navigate the entryway, even for the 4-year-old (who by the way, LOVES this trampoline). Reason #5: Jumping Fun! Once we were done with assembly, it was time to enjoy the fruits of our my son's labor. We all had different jumping styles. His baby girl got to jump first (I know she's not a baby, I can't quit calling her that though...maybe it's a grandma thing) since she was the most excited for this bad boy to get done. Dad was super happy to see her excitement (he's in the background). Her jumping style: Cyclone. We called it that because her most favorite thing to do was run around in a big circle until she got dizzy and fell, laughing of course, the whole entire time. Little man's style? Basketball. He was feigning basketball shots and trying to dunk (invisible) balls in the air. 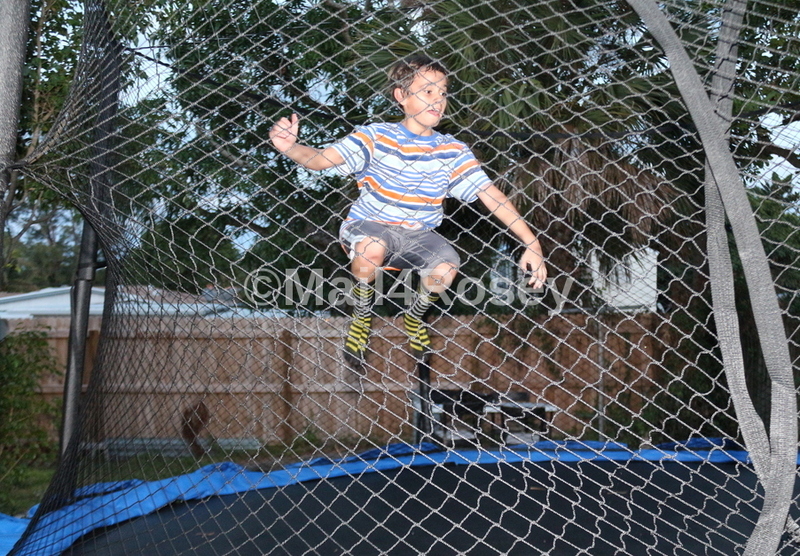 He is 10 and also LOVES the JumpSport trampoline. Want to learn more? JumpSport Inc. has been a champion of quality and safety in the trampoline industry for over 20 years. Our products offer superior bounce performance with long lasting warranties and safety ratings surpassing even the top competitors. Invest in a 14ft SkyBounce ES trampoline system today using Code: JumpUp20 on http://bit.ly/2rwBbhe (cannot be combined with any other coupons.) Spend less time worrying and more time enjoying jumping as a family! Glad it offers good protection so no one falls out. And smart to get the kids involved in putting it together. That looks like a great trampoline. I shy away from trampolines because of the danger, but this looks super safe. I love this trampoline. I'm a big fan of the safety factor. Regular trampolines make me nervous. We had the neighbors behind us get one of these and they were screaming girls using it all day long. I hate these things. Out in the country fine, but be kind to your neighbors. Just saying. 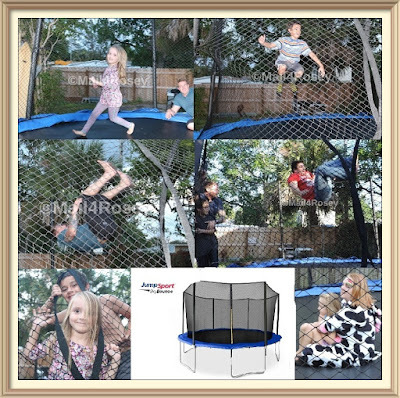 Looks really fun jumping as a family, my son has been asking for a trampoline for a while now but I've been ignoring, trying to wait for him to get a little bit older at least. Wow, I have always been intimidated by trampolines, but this makes it seem pretty easy to put together myself (as long as I have some muscle helping me:)). Thanks for the post! My daughter would love to have a trampoline! This one looks super safe, well as safe as a trampoline can be. We'd love to get one if we only have enough space in our backyard. That would be so much fun and would provide a nice exercise too. I will let my sister know about this. They have a bigger backyard than me. Great blog post. JumpSport looks great for family. jumping seems so much fun, my kids would love it. How fun is this. I spent Hours and hours on my trampoline as a kid! Looks like your whole family is going to get lots of use of this and make some great memories! I always wanted a trampoline as a kid, they always looked so fun. I'll consider getting one for my kids in the future though, one with a net. Safety first! Winter can be such a difficult month! I think it’s the withdrawal Christmas. A trampoline would be nice to have in the backyard. My grandchildren would love it. It would also get them to do physical activities which will be beneficial for their health and growth. I will check this out and see if we can set it up in our yard. Trampolines are so much fun! This looks like a good one. We left ours when we moved and are thinking about getting another. That looks like a lot of fun! I'm sure you guys had a great time playing on the trampoline. It's always nice to have at home! It keeps all of us active. I used to have a trampoline when I was younger and it was so much fun. I am so glad to hear that you bounced your way into the new year with your high quality trampoline! We just love our trampoline! We got one last year and it's constantly used. I paid someone to set it up though. Too complicated for me! That's so awesome! 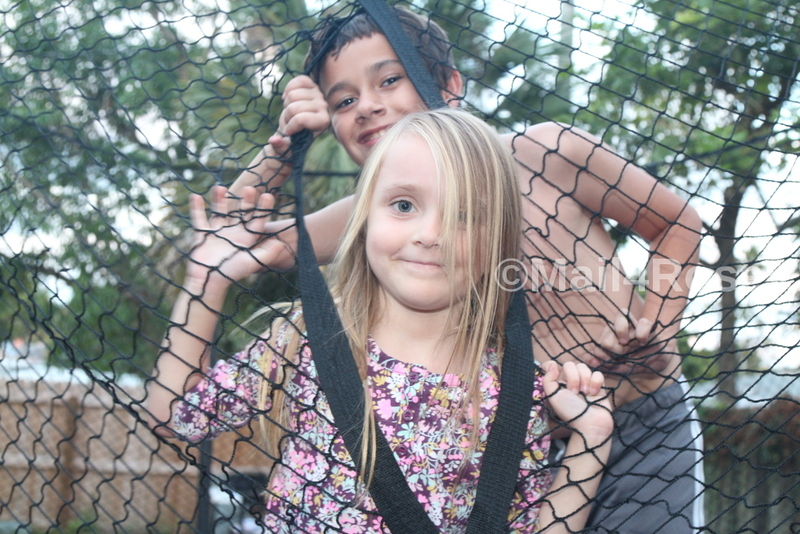 I want a trampoline so badly, I know it would get my trio out more often and active, they love 'em. I wish you and yours a Happy 2018 my friend! I have been wanting to get a trampoline for my granddaughter. My kids had one and they loved it. I don't dare show this to my girls. They've been asking for a trampoline for a long time! This looks like so much fun! My parents would never let me get a trampoline growing up unfortunately. What a cool idea to have your own trampoline in your backyard. I wish I had thought of this when my kids where younger. However, who knows? Maybe they would want to bring out the kid in them. That looks fun! 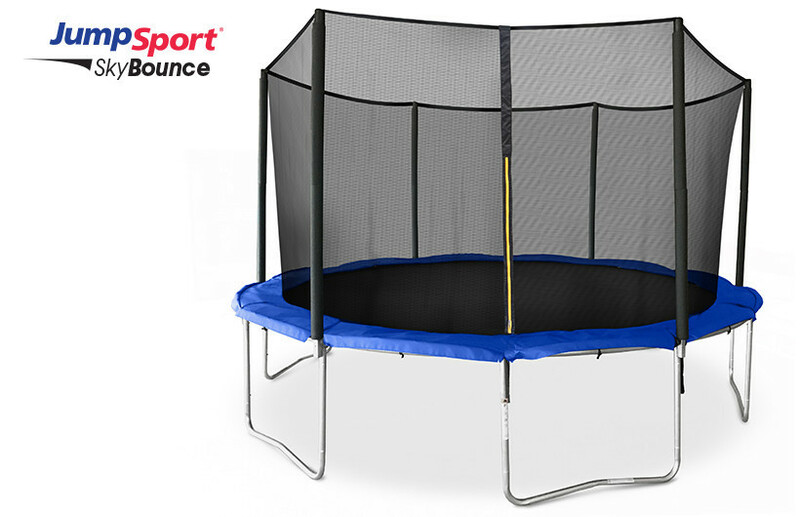 I would like to have my own JumpSport 14 ft Trampoline! My nephews and niece will love it! As long as it has a net on it, I'm ok with trampolines. They are pretty fun! Y'all have too much fun at your place. We have the exact same one at home and absolutely LOVE it!! Although, Our's comes out in late spring, because the yard is currently covered by 4ft of snow and we've got -37C weather today -- LOL! Oh, Toronto. Who doesn't love trampolines? I remember spending hours on them as a kid. Now that is a wonderful way to get some fun and family time going! I love the fact that you and your kiddies worked on this project together!!! 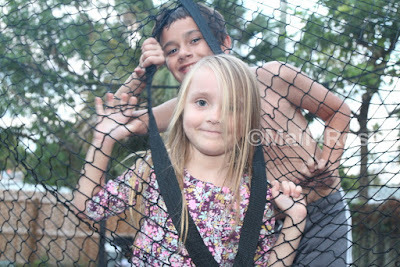 Your kids are adorable and they look so happy! I had a trampoline as a child, and I loved it! Yours comes with a safety screen, which is awesome, and I wish mine would have had one (80's babies had no protection! LOL). Enjoy your trampoline...and the calories it burns! 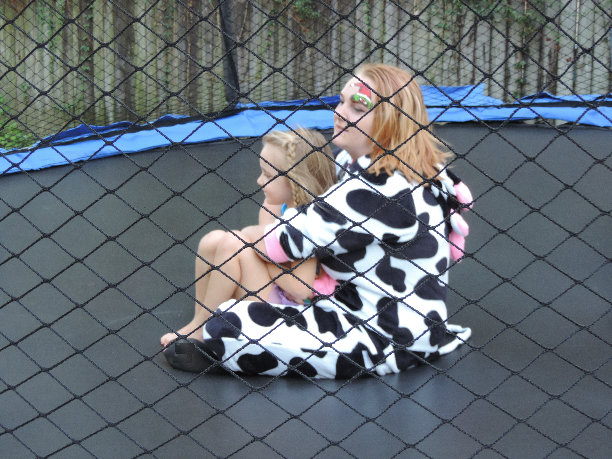 My girls love their Trampoline. We were just thinking about buying another one and this one seems to fit the bill, thanks for sharing your fun. I loved having a trampoline growing up! Cant wait till bubba is old enough for one! Santa brought our granddaughters one of these and they love it! Our son put it together by himself and we got to see how excited they were on Christmas Day. Unfortunately it was so cold they could only stay out there for a bit but I know come spring they will be out there all the time. Trampolines are a great way to keep the kids entertained and help them let out some of that excess energy. Oh how fun! It looks like your kids are loving it too! 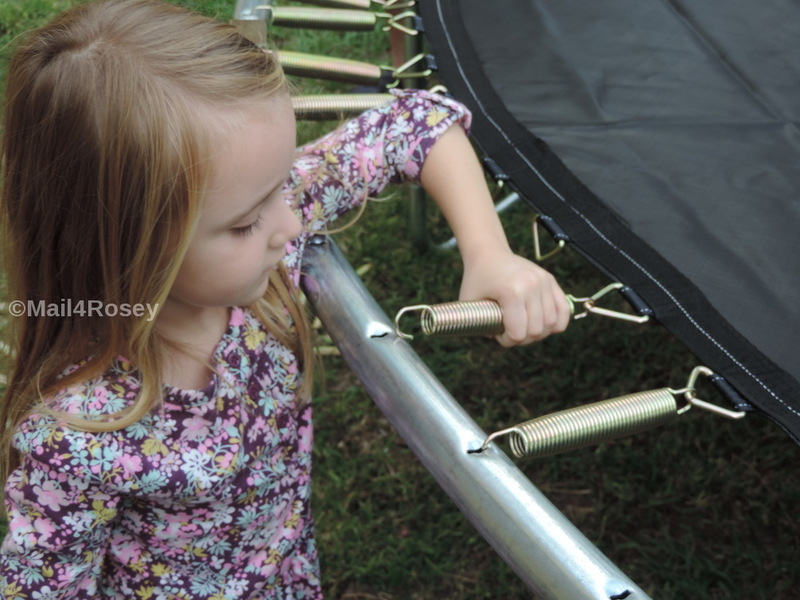 I always wondered how hard it would be too put a trampoline together, so appreciated the assembly pics too. I love trampolines. And I love that you and the little ones did this together! Great way to create lifelong memories! That looks like so much fun! My kids would have a blast jumping. Not going to lie, I think I'd have just as much fun with it. It looks like everyone has a blast jumping. I remember going on trampolines when I was a teen and how much fun it was, I'm out of shape but would still get a kick out of it today I think. Seems like a lot of fun for the kids. I wonder what is the age appropriate for such a trampoline. My kid is 1.5. Oh!! It seems that you had a fun experience in your trampoline. and your kids really enjoy it so much. They are so cute. Aww I love that everyone is helping with the set up! 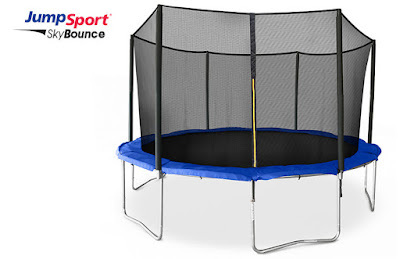 I would love a JumpSport trampoline! We have the space in the yard too so that would be so much fun this summer. 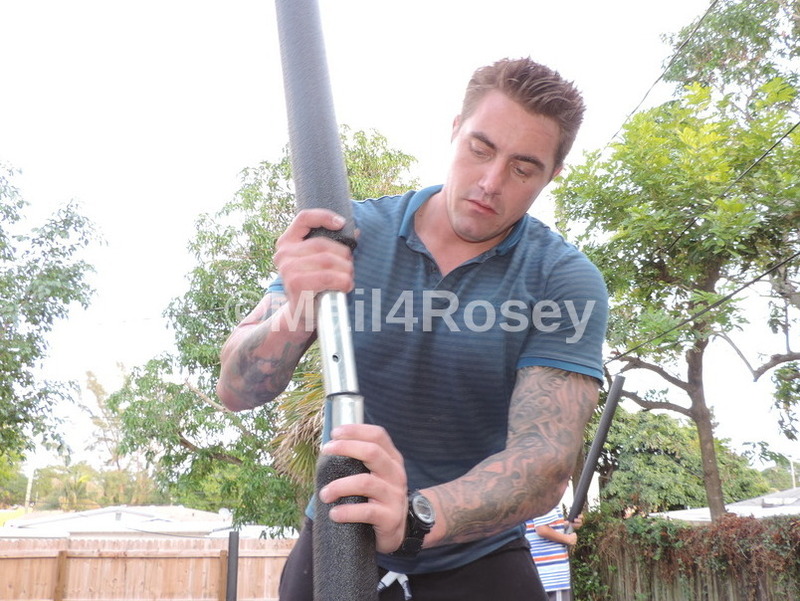 I love that putting your trampoline together was a team effort! I have to tell you, out of all the "toys" it is our trampoline that gets the most use. It is good exercise too! The netting around is a great safety feature. I know your family will enjoy it for years to come! Have fun! The kids would love to have this kind of trampoline at our backyard too. Hope I can get one soon! I had a trampoline like this when I was a kid!!!! I loved the thing!! Wish we had a bigger yard so I could get one for my daughter! Where do I sign up, Rosey? Oh wow that looks super fun!! My girl would be so pleased if we had the space for one! Looks like great family fun! I would love to have one myself but alas, my bad back!! Best investment we ever made was a trampoline. My girls and the neighbors were on that thing every chance they got. Heck, I was even on it a few times when I couldn't hit the gym. It's such a great workout and your legs burn from all that jumping! Oh wow! I never had a trampoline as a child, but I can't wait to get my daughter one! 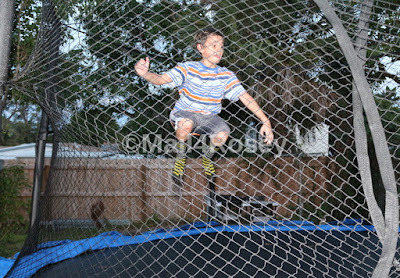 What a fun trampoline for my grandsons to jump on! They would love to have one in our backyard. The Right Lighting for your Bathroom Matters! Have YOU Ever Needed a Personal Injury Attorney?